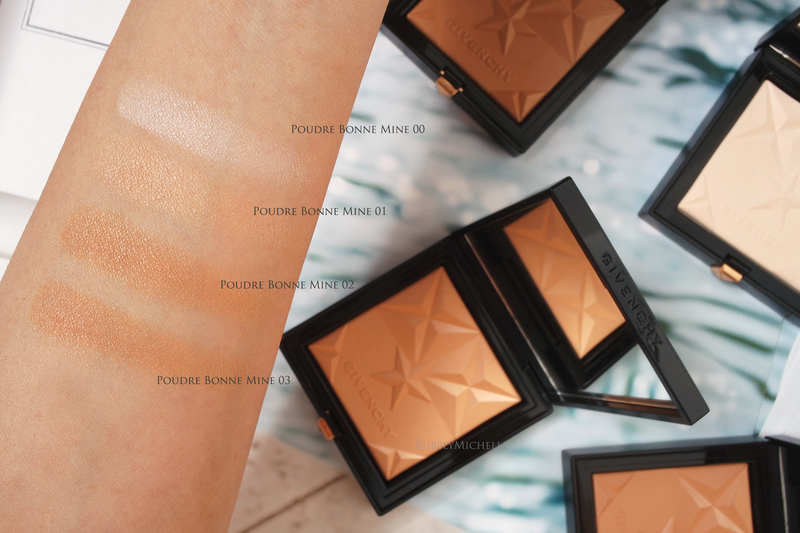 Few months ago Givenchy relaunched their Poudre Bonne Mine Powders. Meant to naturally energise the skin with light, these are a staple to look healthy and glowing all year round. There are 4 colours which are now available in Asia. 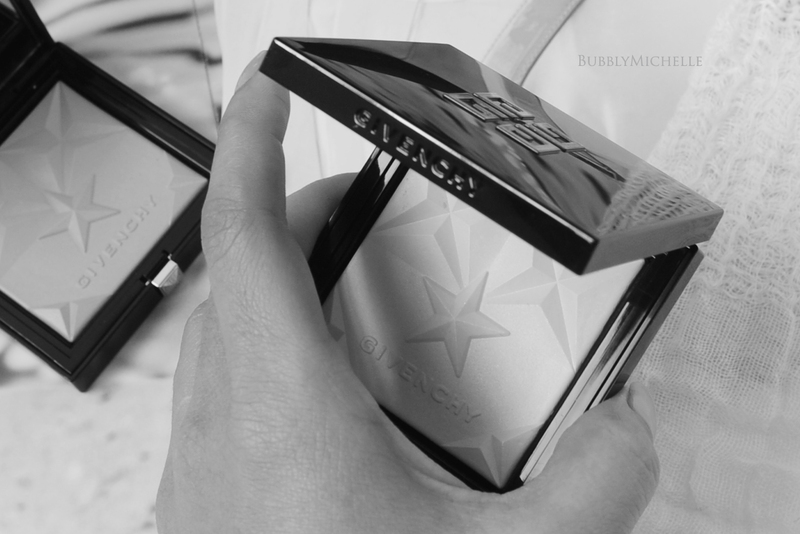 As with all things Givenchy Beauty, it’s the packaging that captures the heart first! I’d be lying if I said I didn’t want to hoard this beautiful compact in it’s pristine condition forever and ever and EVER. The exterior of the packaging is absolute perfection. It’s a slim black compact with the Givenchy logo up top in rose gold. Unfortunately the black casing is a magnet to finger prints and dust and it’s been quite the task keeping them looking shiny and pretty. I also like that the compact is in fact compact! Unlike most seasonal bronzers which arrive in mega sized pans making them totally travel unfriendly. The only negative I see is, these don’t come with a protective velvet case as you’d expect of high end beauty brands. Which makes the compact susceptible to scratches. According to the press info at hand. The Bonne Mine powders are a talc free formula. These are a baked gel with no excess powder that showcase colour perfectly. The technology used gives this powder a weightless quality that makes it virtually undetectable when applied on the skin. I can assure you, no powdery look or feel! I also like that the formula doesn’t kick up product, which means less wastage! PLUS this keeps the compact looking clean and less grubby. Yayyyy! Swatching these I noticed they have good colour payoff, a silky texture and a satiny sheen. 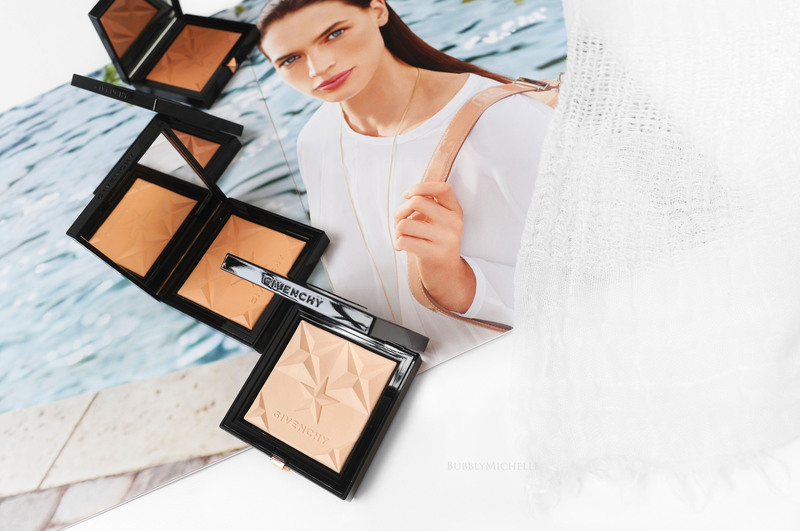 Unlike most bronzers on the market today which are matte, these Healthy Glow powders literally glow with radiance. There’s a good colour selection for pretty much most skin types. 00 Moonlight Saison a pale shimmering cream for radiance & highlighting. Upon application I found the colour soft, buildable and blends easily, making it near impossible to overdo. Also glad that the final look is far from shimmery as brush application allows a more diffused look in comparison to the swatches which are obviously heavily applied in order to be photographed. I’ve discovered these powders do not contain any oil control properties and works best on skin that’s already been set with a powder (at least on the portions that are prone to excessive oiliness). Applied over my usual base makeup, it lasted well throughout the day (I didn’t test out exact wear time), and looked fresh and glowy throughout without fading mid wear. 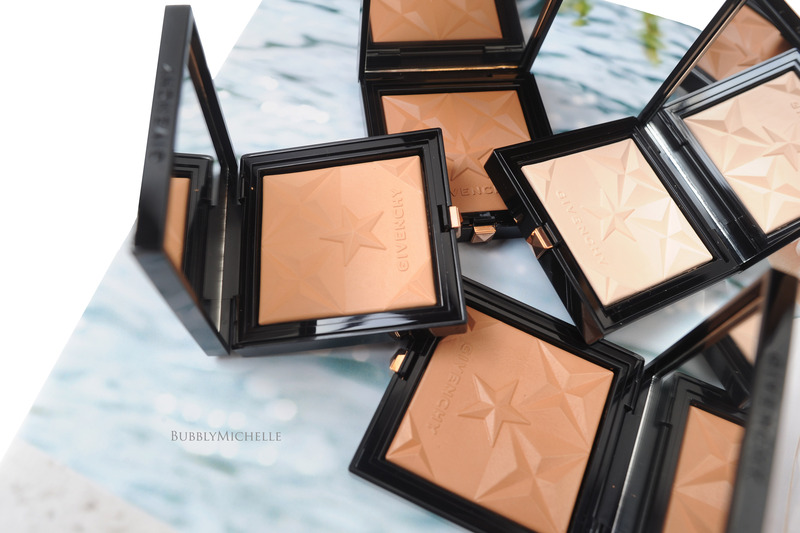 If you are after a powder that brings radiance and a naturally sun kissed effect, these are for you! No weird orange-y tones or excessive red pigments. They would work effortlessly on fair and medium complexions alike. 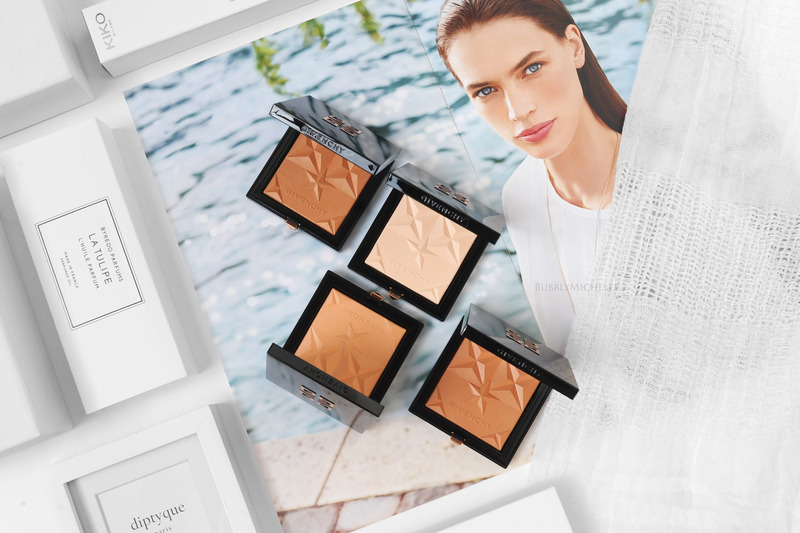 I find the overall effect of these Healthy Glow Powders similar in concept to the Hourglass bronzers except less shimmery, smoother & as you’d expect, more refined in quality. A closer dupe would be the LE Chanel Les Beige powders that come out each summer (of which I am also a fan) though these look clearly more matte in comparison and usually tend to be geared towards the fairer complexions (limited colour variations, usually two). Bottom line, it’s a gorgeous formula and I highly urge you to check them out. I hope you love them as much as I! SGD80 for 10g of product. Currently at Givenchy counters at Sephora Singapore & Metro Paragon. *Samples kindly provided by Givenchy Singapore for review. These look beautiful and perfect for summer! They look beautiful Michelle! Great post and pictures, I’m eyeing 01 but I want to check out Chanel Les Beiges as well.